Construction Anchors was founded to develop and provide high quality mechanical fixings and tools for the construction industry. We offer private label packaging for our global OEM customers. 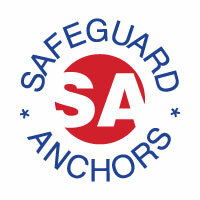 Our focus is to produce anchors with the aim to reach ETA CE approvals. These in turn can be cloned and transferred to our customers. Today we can offer Through bolts (Wedge Anchors) and Concrete Bolts with ETA approvals. We are currently working on more products including Metal Hammer Drive & Drop-In Anchors to add to our ETA family of anchors. Our factories are located in Mainland China and Taiwan and ISO certified and have been audited by the European test lab institutes. Furthermore, we offer a very high quality range of manual and battery operated chemical and sealant tools. of interest and we look forward to being of service to your organization.